Looking to book flight tickets, hotels, Holidays packages and bus in budget-friendly prices? EasyMytrip is there to ease your travel experience by providing the best services with lowest price assurance on hotel reservations, holidays packages and on flight tickets. EasyMyTrip is one of the leading travel portals in India offering exciting deals and 24/7 support for any travel related query. Book your one ways domestic flights and get Rs. 300 off and Rs. 600 off on roundtrip flight booking from EaseMyTrip. Get this fantastic deal by using the promo code & Save high. Use your RuPay card when you book flight & hotels and get Rs. 800 off on flights & Rs. 500 off on hotels from EaseMyTrip. Minimum booking amount to avail the offer on domestic flights is Rs. 3000, for an international flight, is Rs. 10000 and for hotel booking is Rs. 3500. Avail now! Save up to ₹ 3,000 off for 3+ passengers flight booking sitewide only at EaseMyTrip. To avail the offer, you need to apply given voucher code and get your discount. Limited Offer! Book your domestic flight tickets and get Rs. 600 off with EaseMyTrip. Minimum booking value of Rs. 15000-30000 is required to get the benefits of this deal. Enjoy holiday package for the best of Bali at just Rs. 39,999 from EaseMyTrip. Make beautiful memories and have a luxurious stay. Get up to Rs. 5000 off on international flight tickets. Minimum booking value of Rs. 10,000 is required to avail the discount price. Book Now! Get Rs. 500 off on Air India, Jet Airways & Vistrara domestic flight booking. Minimum booking value of Rs. 2500 is required to get the benefits of this deal. Receive Rs. 250 off on domestic flight booking. Minimum booking of Rs. 6000 or more. Offer valid only for Axis bank users. A coupon code is must required! Save up to Rs. 1500 off on your international flight booking at EaseMyTrip. Minimum booking amount of Rs. 5000 is applicable to get your discount. A coupon code is required! Package for Shimla & Manali starting from Rs. 15,999 exclusively at EaseMyTrip. Click on the Get Deal button to avail this fantastic offer. Book now and make unforgettable memories. Book your accommodation through EaseMyTrip and get 30% off on your hotel booking. Use the discounted coupon code to avail the ultimate deal and save big. Planning vacation or a long trip and want to book your tickets without any worries? If yes, then search, compare and book your tickets at Easemytrip. 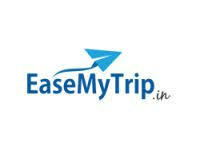 At EaseMyTrip you can easily book your tickets hassle-free. Also, you can avail exciting deals and offers on your ticket booking. EaseMyTrip ensures that customers get the lowest rates on their flight ticket booking and hotel reservations. It is an online travel company of Indian origin. It consists of 42000 travel agents,1800 corporate, 1200 franchise outlets, 1600 distributors and 640 white-label solutions. EaseMyTrip has overseas branches at Bangkok, Maldives, Dubai, and Singapore. Car rental, and bus tickets. Easemytrip provides 24/7 consumer support from the time of ticket booking till the end of the journey. As India is a land of great diversity many tourists visit India, Easemytrip offers them a wide variety of hotels ranging from lavish to cheap. At the site of EaseMyTrip, you will find many leading international hotel chains like Oberoi Group, ITC Group, Taj Group, Le Meridian Group and others. Not only buses you can also book cars at Easemytrip. Across all major cities of India, you can enjoy car rental facility. Here you can get cars with AC, without AC or as per your preference. You can also get cash back on every confirmed car reservation. Along with these significant features Easemytrip has so many other features like an option for searching and comparing cheap airfares, last minute deals on both domestic and international flights, don’t charge any extra fee on air tickets. To reduce holiday-cost EaseMyTrip has its office, staff, cars and food arrangements in Dubai, Singapore, Thailand, Maldives, Bali, and Mauritius. EaseMyTrip has tied-up with 450+ NRIs across every major city in the world. It is India’s one of the leading travel portal with a wide range of hotels, buses, cars, holiday packages, etc. Easemytrip provides hassle-free ticket booking experience to their users. It has a bench of travel experts to help its customers at every stage of booking hassle-free. By giving away various exciting deals and exclusive offers, EaseMyTrip ensures that their customer’s trip will be a memorable one. Get the best EaseMyTrip deals at Wingcoupon.com.